Please enter the name you want embroidered on the throw. Gift wrap is a silver mylar bag printed with white bows. Give the graduate something to remember their great accomplishment! 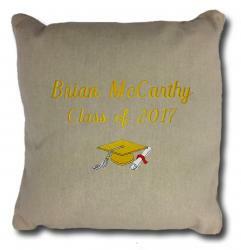 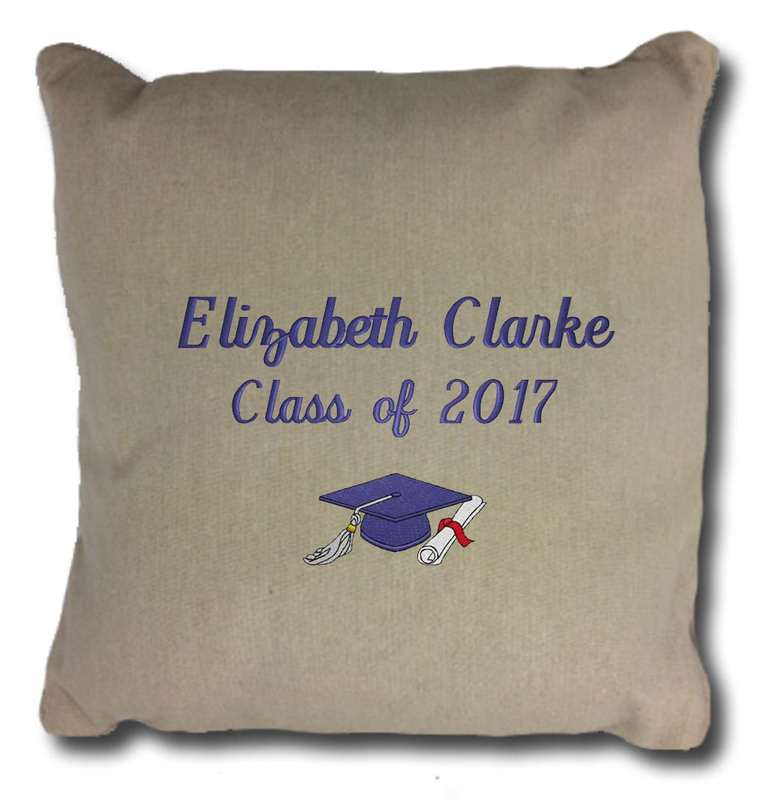 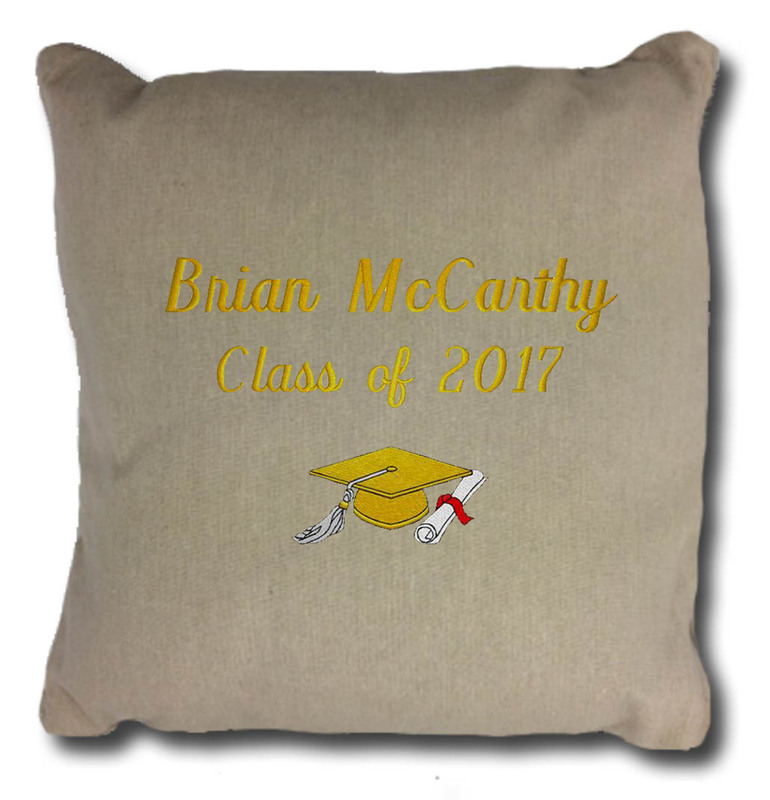 Our personalized Graduation Pillow comes in a go-with-everything beige, and is embroidered with their name and school color. A practical and comfortable addition for their bedroom or dorm room, our personalized Graduation Pillow is a keepsake gift that will be treasured always.